Fantastic books filled with swordplay, treachery, wit, suspense, good versus evil, young love, and against-all-odds, edge-of-your-seat action. My 12-year-old son read these in record time, I followed suit, and we're both anxiously awaiting the publication of the third book. If you need page-turners to help your boys get through a summer reading slump or hours in the car on a road trip, THESE ARE YOUR BOOKS!! *** The verdict is still out on whether they're a good fit for girls. My 5th grade daughter just started reading them on the recommendation of her brother, who said, "They're a little violent, but I think you're mature enough to handle them." She's a fast reader, so I'll find out shortly if she's a fan. 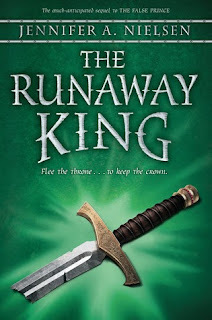 THE RUNAWAY KING: Just weeks after Jaron has taken the throne, an assassination attempt forces him into a deadly situation. Rumors of a coming war are winding their way between the castle walls, and Jaron feels the pressure quietly mounting within Carthya. Soon, it becomes clear that deserting the kingdom may be his only hope of saving it. But the further Jaron is forced to run from his identity, the more he wonders if it is possible to go too far. Will he ever be able to return home again? 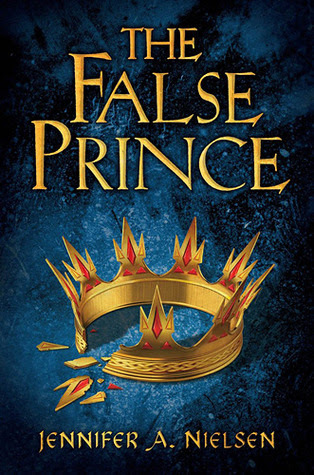 Or will he have to sacrifice his own life in order to save his kingdom? Darn! Not available at FM Library. Boo on that. Thanks for the tip anyway.